Amongst my group of friends, dumplings are a collective favourite. 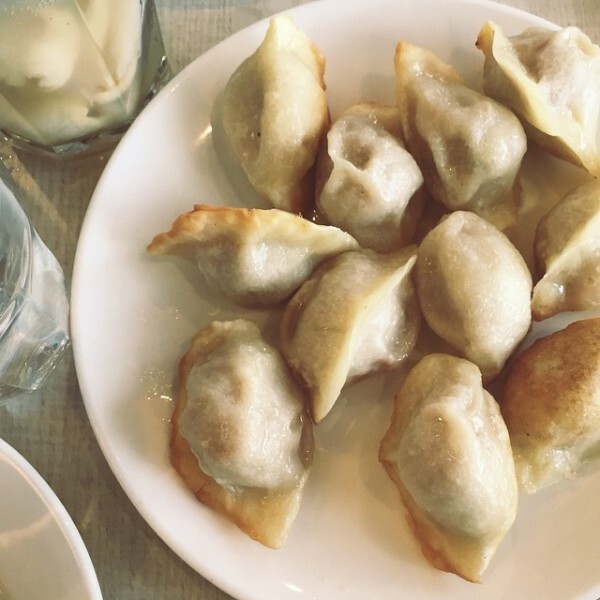 We regularly argue about who makes the best, but with such a good selection of dumpling restaurants in Canberra, we are never disappointed no matter where we end up. So if you’re like us and have regular cravings for these little parcels of heaven, I’ve picked out five places you can get your dumpling fix tonight. Shanghai Dumpling Cafe is located on Childers Street near ANU. They are always busy, so you might have to wait for a table, but their dumplings are consistently good and pretty inexpensive. I’m a big fan of their vegetable dumplings with special sauce. I don’t know what they put in that sauce, but it takes a plate of veggie dumplings to a whole new level. Another busy, cheap and cheerful dumpling restaurant is Dickson Dumpling House on Cape Street in Dickson. They serve up a big range of dumplings and while their customer service isn’t the best, their dumplings are pretty good. Try their prawn and pumpkin dumplings for something a little different. 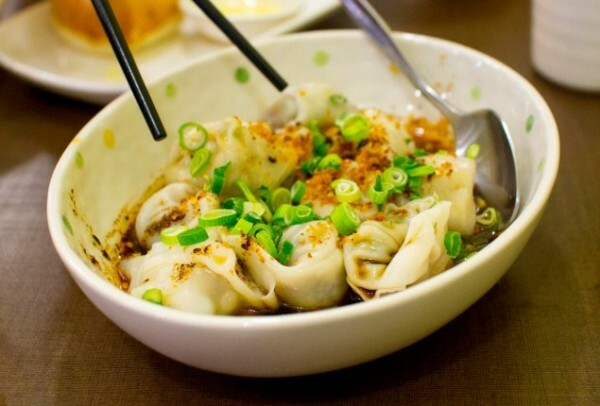 Located in Gungahlin, Jade Dumpling Noodle House serves up dumplings, noodles and a plethora of other Chinese dishes to hungry northsiders seven days a week. And if you’re from south of the lake like me, I’m told the xiao long bao (mini steamed pork bun) and spicy wontons (vegetable and pork wontons in a spicy dipping sauce with chives) are well worth the drive up north. CBD Dumpling House, located on Scotts Crossing in the City, is a big restaurant that is always busy. Every Friday night, there’s a line out the door of people waiting to get their dumpling fix. One of my favourite things about this restaurant is the big window into the kitchen. You can sit up at the bar and watch the chefs prepare the dumplings you’re about to eat – and they are always so friendly! Located on Bunda Street in the City, Akiba is for those occasions when you want to step up your dumpling game from cheap and cheerful to a little more on trend. While their dumpling selection is small, they are big on taste and quality. 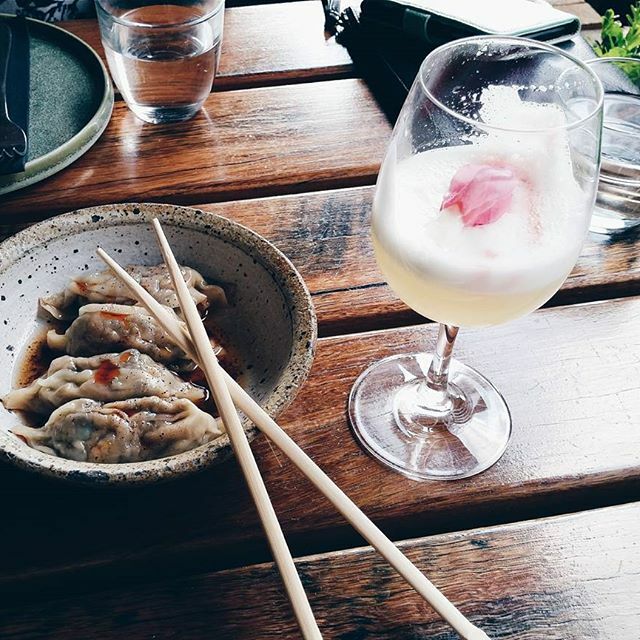 I recommend you try their shiitake and water chestnut dumplings – with their slight water chestnut crunch and added kick from the red vinegar and chilli oil sauce, these are some of the best dumplings out. 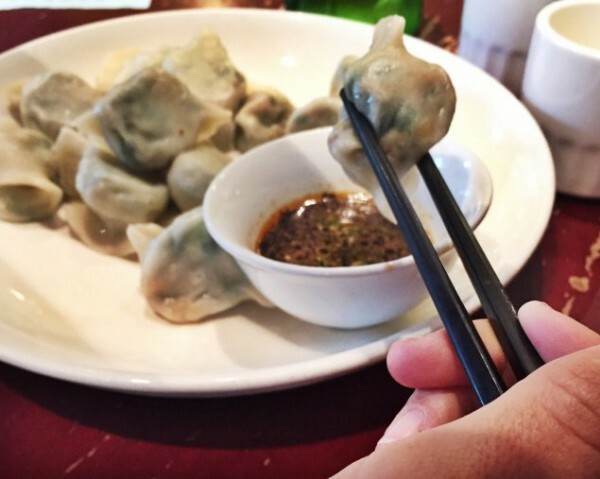 So tell me, where do you go to get your dumpling fix in Canberra? last weekend been here and had silken tofu with ginger ! Great place. The sauce is what makes a difference between the dumpling fight. CBD is pretty good . You have to elaborate: Rosella or Fountain? Akiba is Chinese dining for Gwai Lo more impressed by fitout than food.. The only three places we’d go in Canberra, only because we aren’t somewhere better, is Bambusa, Mr Wei in the City and Wild Duke in Kingston. The last being borderline. We really avoid Chinese in Canberra. Thai, certainly some Vietnamese, but sadly not Chinese. We go to the Asian supermarkets to get our own dumplings, then steam them in a bamboo steamer on a nest of lettuce or chinese cabbage. Easily better than what you are getting in most of Canberra’s fairly cr#ppy Yum Chas. Akiba? Death by soy sauce! Was not impressed with them at all. A few new ones to try, thank! Thumbs down to Akiba though, a group of us went and we all came down with food poisoning. I contacted Akiba to let them know and had no response from them. Do not go to Akiba if you don’t want to get sick! Any recommendations for south of the lake? China Plate’s dumplings on Annabel Crabb’s show looked good (except for the ones Albo & Pyne made…).